When Robert F. Kennedy, Jr. told the media that he was asked by President Trump to lead a Commission on Vaccine Safety Science an Science Integrity, the media had an all-out freak fest of reactionary push-back reporting. With headlines such as “Vaccines Are Safe”, they abandoned all pretense of objective, responsible reporting, and, for a time, even the most Vaccine Risk Unaware could see the puppet strings of their Corporate masters. Vaccine “advocates”? We need a balanced public policy based on facts, not based on advocacy. For me, no qualifiers = loss of legitimacy. CNN dug up and re-ran an old gimmick (Fake News) story about a boy who pulled together all of the science showing that vaccines cause autism (the folder being empty). News to CNN: if you think that was funny, or smart, you’re wrong. It merely energized an already ticked off and growing population of Vaccine Risk Aware Americans. 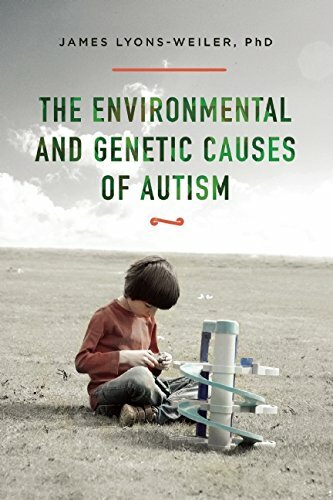 Here are 2,000 non-Fake studies that point squarely to environmental toxins, including those in vaccines, as causal factors, along with genetic susceptibility, genetic variation and very rare “autism” risk genes as the main drivers of the epidemic of autism. Evidence-based vaccine policy in the US cannot possibly continue to be one-sided advocacy. Understating and denying risk when risk does, in fact, exist is woefully irresponsible and will only contribute to the number of vaccine-injured Americans (or worse, parents of vaccine-injured Americans) who are outraged at having been lied to. Because headlines and statements such as “Vaccines Are Safe” are outright lies. Think baby cribs. Think car seats. Over 6,400 deaths is not “Safe”. And recall that as a passive system, VAERS captures maybe 2-10% of vaccine injuries. To minimize the perception of risk while doing nothing to actually reduce risk is madness. To make matters worse, intentional risk denialism is rampant and has become institutionalized. There are plenty of examples. The CDC and the AAP are both complicit in instructing health care workers, when confronted with questions about vaccine risk, to change the subject to efficacy – each instance of which happens to be an overt violation of that patient’s right to informed consent. AAP has instructed its members, when confronted with questions on vaccine safety, to change the topic to efficacy. That’s a great way to convince the public. You win the argument in your seven-minute well-child visit, and the parents who heeded your advice then hate you for misleading them for a lifetime. Real smart. The AAP has also published a missive to it members entitled “Countering Vaccine Hesitancy“, in which they misrepresent completely the realities of the process of bringing vaccines to market. 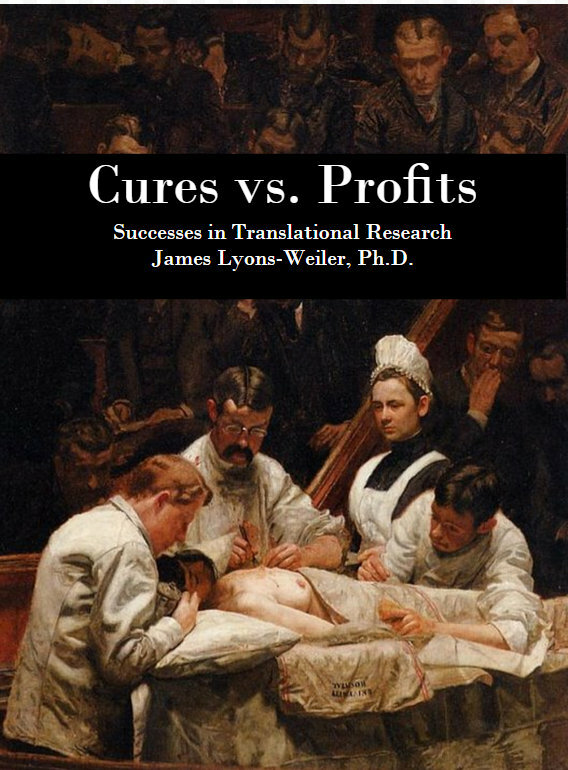 Specifically they claim that pre-licensure production of “Vaccines” includes Phase 1, Phase 2 and Phase 3 studies implying sufficient safety screening with “hundreds” of patients in Phase 2 and therein lies the most important flaw on vaccine safety science: the reliance on small studies that could never detect relatively rare serious adverse events. No, AAP. Vaccines are not sufficiently tested for safety, which is why post-market surveillance, aka, the largest uncontrolled clinical trial in the history of modern medicine, is used to monitor safety. Anyone who has accepted a vaccine, ever, who was not informed that they were part of clinical safety trial was denied informed consent on human experimentation. Our collective perception has been being manipulated all along. In fact, the entire NVICP, set up as a no-fault arbitration venue, is designed specifically to obfuscate liability and responsibility. Vaccine risks skeptics will confuse the increase in the number of cases seen by Vaccine Court with coincidence, and they will deny that the rise is actually due to an increase in the number of vaccine injuries. The CDC’s website still contains the false and misleading statements “Vaccines Do Not Cause Autism” and “Vaccine Ingredients Do Not Cause Autism”. The Johns Hopkins Bloomberg School of Public Health now also hosts a webpage entitled “Vaccines Do Not Cause Autism“, in which they review the 2012 IOM Report in which the IOM “concluded that the body of evidence favors rejection of a causal relationship between autism and MMR vaccine and thimerosal-containing vaccines”. They fail to report that in that same report, IOM rejected 17/22 studies, based their conclusion on 5 studies. Disconcertingly, the Johns Hopkins’ web pages includes the use of the word “prove” (we don’t prove things in science, we test them to try to disprove them) during their rendering of the Wakefield story, as if Dr. Wakefield’s study even TRIED to “prove” association (they didn’t; they merely posed the question, i.e., produced the hypothesis). The Johns Hopkins webpage includes reference to a meta-analysis study [Taylor LE, Swerdfeger AL, Eslick GD. Vaccines are not associated with autism: an evidence-based meta-analysis of case-control and cohort studies. Vaccine 2014;32(29):3623-9.] which used data from studies found by IOM to be too flawed to be considered. One of those studies is the now debunked Destefano et al. (2004), which clearly omitted subgroup analysis results that showed positive association of on-time MMR vaccine. Many of the other studies cited the Johns Hopkins web page have been found to be the result of statistical shamwizardry, including changes to study design after initial results showed association, model overfit using highly collinear covariates, and, in one case, by authors who were caught changing to the reported results after publication without explanation (see Pubmed comment on Uno et al,, 2015). Any result involving the CDC, or contracted by CDC (DeStefano, Boyle, Thompson, Verstraeten, Madsen) cannot be trusted, and any policy based on studies in which these individuals are co-authors is suspect. There are plenty of other examples of seriously flawed studies used to bolster public policy. For example. And for example. What are we supposed to do, just re-read the biased headlines to reassure ourselves? Perhaps re-reading AAP’s missive to change the discussion from safety to efficacy will help? Misleading parents on the realities of vaccine risk will surely help? Adverse events reported during post-approval use of Tripedia vaccine include idiopathic thrombocytopenic purpura, SIDS [sudden infant death syndrome], anaphylactic reaction, cellulitis, autism, convulsion/grand mal convulsion, encephalopathy, hypotonia, neuropathy, somnolence and apnea. Vaccine Risk denialists will claim that “reported” does not mean “has caused”, and then dismissively cite children falling down wells, and car accidents as ludicrous examples of vaccine injuries cited in VAERS from vaccines. A child losing consciousness, or acquiring an unsteady gate as a vaccine injury may fall down a well, and a driver losing consciousness may in fact do so as result of a recent vaccine. The claim that “correlation does not equal causation” seems to apply only when Vaccine Risk denialists want it to: whenever evidence points to vaccine risk. They act as though retrospective studies could have found causal evidence, but then claim that no causal evidence exists when association are found because, well, it’s a correlational study. They simply cannot have it both ways. If retrospective studies are not sufficiently rigorous to indicate causality when an association is found, they are not worth doing because they do not represent a critical test of the hypothesis. Their measured outcome from these four groups (lymphocyte proliferation and cytokine production in response to generic T cell stimuli) would have been very interesting. Until we see the proper studies conducted independently of vaccine manufacturers, and independent of anyone with any ties to the vaccine industry, focused on the right questions, the true extent of vaccine risk will remain unknown to the public, and thus, as I pointed out to Sanjay Gupta, the Vaccine Risk Aware Army will continue to grow, family by family, town by town, city by city, and state by state. My biggest concern is that no one has engineered a safe landing from this fiasco. I suggest we de-monopolize the industry, and start a competition for contracts on the safest vaccines, using random assignment of vaccines and other artificial immunization technologies to Universities for independent testing, as I have outlined in “Causes“. We can no longer afford the National Childhood Vaccine Injury Act. The National Childhood Vaccine Injury Act (NCVIA) of 1986 (42 U.S.C. §§ 300aa-1 to 300aa-34). It’s not fair to ask families of vaccine injured kids to bear the burden of our alleged immunity. BTW, the mumps cases spreading in Washington State is spreading among the vaccinated. People, I mean. Not rabbits. Merck. Rabbit antibodies. Remember that next time there are measles, mumps and rubella outbreaks. Rabbits. James, thanks for providing the link to BRUESEWITZ v. WYETH. I hadn’t actually read it previously. The dissenting opinion written by Justice Sotomayor (together with Justice Ginsberg) is very much on point. It seems that vaccines are deemed so important to public health that Congress’ intent is distorted and subverted to achieve the goal of maintaining the vaccine program, which in turn egates any incentive for manufacturers to design safer vaccines. I don’t know how they could have come to that conclusion. Excluding a single category of pharmaceuticals from direct liability and compensation through the states’ legal system seems counter to intent. This also makes clear how critically important these SCOTUS appointments are. Newly appointed Judge Gorsuch, with a long history of supporting the corporate over the individual can be expected to continue to do the same.